Ural Airlines, Russia’s fourth largest carrier, carried 3.94 million passengers in the first half of this year, up 19 per cent on the same period of 2017. In January to June 2018, the number of flights increased by 16 per cent to a total of 28,132, of which 15,645 served domestic destinations, 5,741 reached out to CIS countries and 6,746 were international flights. 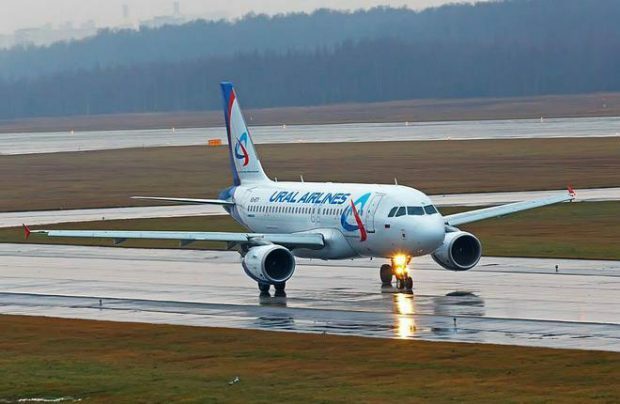 In June alone, Ural Airlines carried 917,526 passengers, up 18 per cent year-on-year. The Yekaterinburg-based airline helped itself to a share of the World Cup pie, having arranged a total of 450 additional flights for football fans travelling from Peru, Uruguay, Egypt, Australia, Poland, Germany, Columbia, Saudi Arabia, Iran, France and Spain to all 11 Russian host-cities. Finally, it also served as the carrier of the Mexican national team for the event which, overall, generated some additional 50,000 passengers for the airline, a statement reveals. The airline, which currently serves a network of more than 200 destinations, operates a fleet of 45 pre-owned Airbus A320-family aircraft, but has recently announced that, in 2019 and for the first time in its history, it is to take delivery of seven brand new aircraft: two Airbus A320neos, three A321neos and two Boeing 737MAXs.